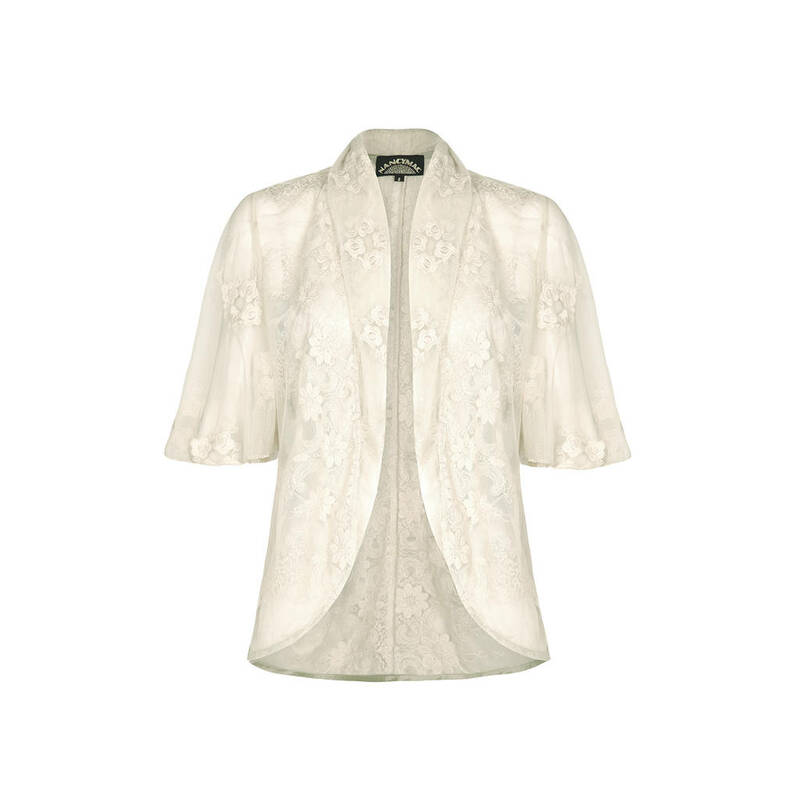 Softly tailored tea jacket in our beautiful ivory embroidered lace. 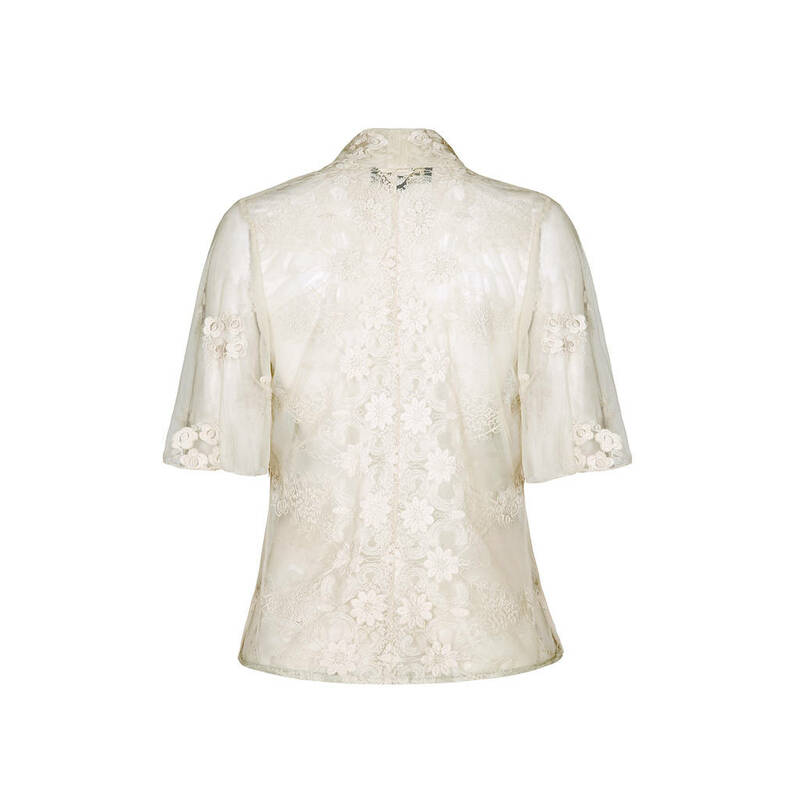 This pretty sheer jacket features flattering Thirties cape sleeves, gently shaped waist and exquisite placement embroidery front and back. This is a perfect little coverup that looks fabulous worn with our Print summer dresses such as our Gigi in Blush floral, Our Alessia dress in polka dot or Duck egg rambling Rose and our Janie in Parasol print. Ideal for weddings or special summer soirees or dress down with a simple camisole and jeans for an elegant bohemian look. Co-ordinating items: The Madeline jacket works well with our print summer dresses such as the Gigi dress in blush floral, the Alessia dress in polka dot or duck egg rambling rose and our Janie in parasol print. Made from: Cotton lace. Dry Clean.